Hygge Winter Reading @ the Library! J.K. Rowling’s Fantastic Beasts & Where to Find Them is the next book turned movie. Reserve the book here. We also have the first movie. Be sure to catch up before the second movie in the series, Fantastic Beasts: The Crimes of Grindelwald, releases in theaters on November 16! What’s the book about? 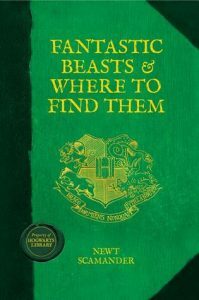 A compendium to the Harry Potter books, discover a vast array of new creatures with a foreword from Dumbledore. © Enid Public Library. All Rights Reserved.